If you're in the market for a television, Amazon is one of the best places to find HUGE discounts on all the best brands (often in the hundreds of dollars). That being said, Amazon is also a minefield of dumpster fires, so check out the below options if you're looking for the absolute best Amazon has to offer. The LG B8 series comes in either 55 or 65 inches and is hands-down the best TV on Amazon and maybe the best current consumer TV period. It features unparalleled blacks, incredibly accurate color, and support for a wide range of UHD content, including HDR 10. It has four HDMI ports, three USB ports, one RF (coaxial) connector, one composite in, an Ethernet port, an Optical jack, and an RS232C port. LG's E8 Series is a step up from the B8, though the physical design, including ports, is the same. It features a better graphics processor (a9, LG's most powerful), and offers an even wider color gamut, even more perfect blacks, next to no motion blur, and superior performance across all types of usage (especially gaming). The only downside is that pricing starts north of $2000 for the 55-inch. Starting under $1,000 for the 49-inch model, Sony's X900F Series offers gorgeous 4K powered by Sony's "X1 Extreme" processor, which is the top of the manufacturer's line. The real icing on the cake is compatibility with Amazon Alexa and Google Assistant, with the ability to cast video to the TV, change channels, and more. This one is an excellent value. 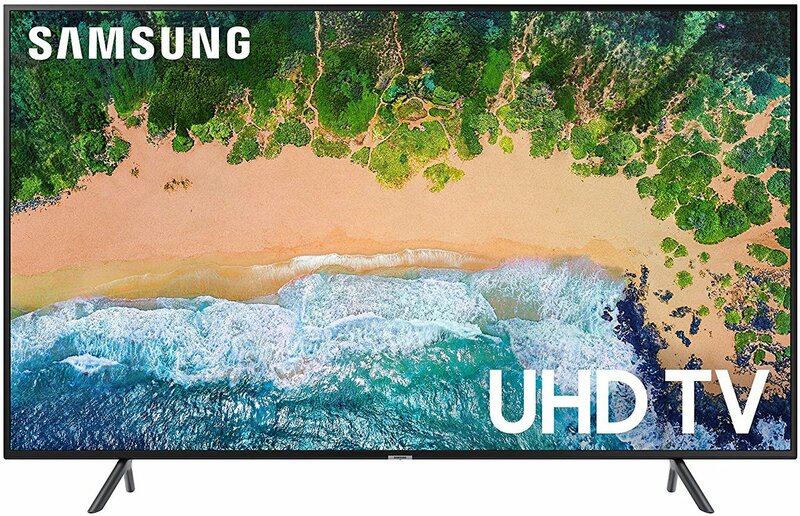 The best purely LED TV on the market is Samsung's Q9F Series, which boasts great contrast; a very modern, nearly bezel-less design; fantastic smart features; and best-in-class HDR capabilities. It has four HDMI ports, three USB ports, one coax, one Optical, Ethernet, and an RS232C port. This is an exorbitantly expensive TV, but if you don't want the burn-in risk that OLED panels have, you want LED. If you're simply looking for a TV that performs well with 4K picture and minimal bells and whistles, then consider TCL's top model. 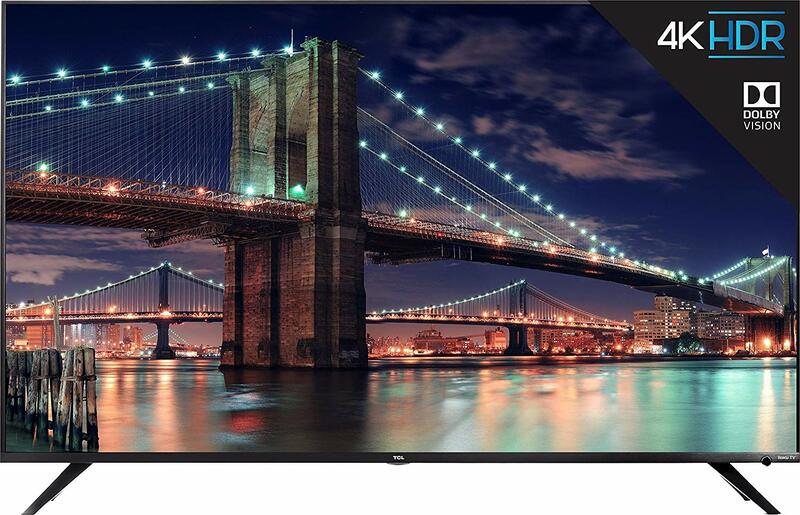 Not many brands offer a 65-inch 4K display for $1,000. You'll get three HDMI ports, a USB port, coax, a headphone jack, an Optical jack, and Ethernet. This model also boasts Dolby Vision HDR, with Roku's smart interface built in. TCL easily has the best TV you can get for under $700. Vizio's TVs can really hold their own against some of the best brands in the business, and the P-Series is the best example of that, with 4K HDR support, a massive color spectrum, Alexa and Google Assistant integration, and an excellent smart interface. With its 75-inch TV sitting at just $2,000, this is easily the best model in terms of bang for your buck. The coolest design award certainly goes to this Sony TV, which has a sort of kickstand design rather than a traditional "TV-on-a-pedestal" look. 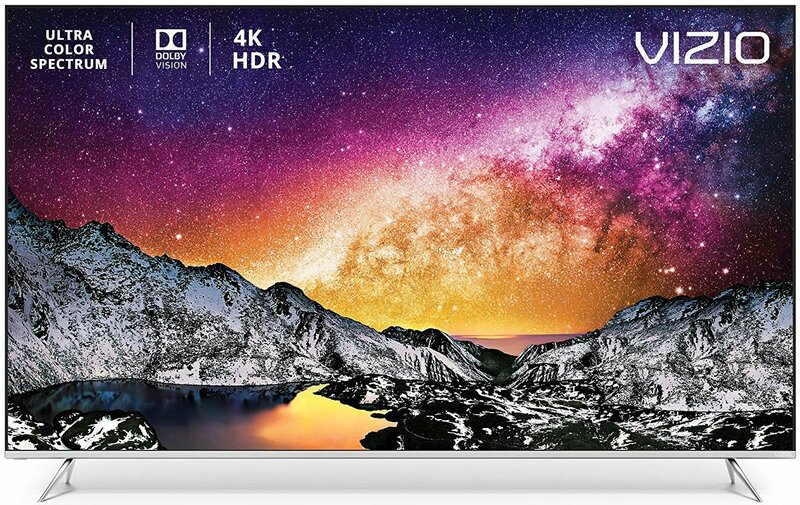 It's also nearly bezel-less, so when you sit in on a TV stand or mount it on the wall, all you'll see is a crystal-clear 4K image with a colorful, bright, beautifully contrasted picture. This TV contains Sony's mode advanced technology, and the price tag shows it, but if you're a Sony diehard, this is the TV you need (if you can afford it). If you're looking for a TV that needs to fit just right, then this Samsung LED model is the way to go, with phenomenal TVs under 50 inches. They have HDR 10+ support, a gorgeously slim design, and a great smart interface. You'll get three HDMI ports, two USB, one component, Ethernet, Optical, and coax. For excellent color, 4K in a smaller package, and an affordable price tag, this is the TV you want. You'll want to pick your TV carefully since you'll likely have it for the next 5 to 10 years. And if you want massive discounts, Amazon's a great place to shop. The absolute best TV you can buy on Amazon right now is the LG B8 Series, which falls into a fairly reasonable price pocket. If, however, you don't want to spend an arm and a leg, TCL's R617 Series is remarkably great for the price.